Zemat Technology Group is a leading European design and manufacturing company of high frequency welding machines and auxiliary processing equipment. 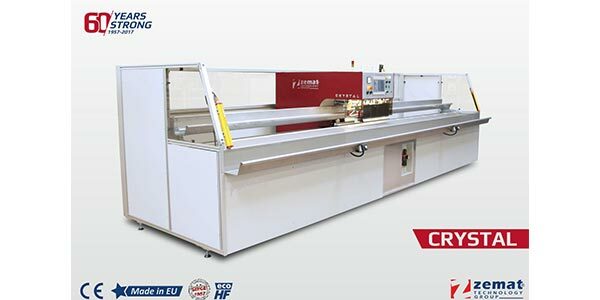 Tarpa CRYSTAL HF welder was created for the production of CRYSTAL Clear PVC café blinds with Invisible Seam technology. The machine can also handle the demanding production requirements for Pergolas with "omega" profiles and zips, awnings, shadings and other small and large format tensile structures, side curtains and membranes. With the use of the special tool set the Tarpa CRYSTAL HF welder creates a very strong very thin (1.0 mm) linear weld to join Crystal Clear PVC film, creating an Invisible welded seam.